Freight forward by Air, Sea , Road and Rail. 24 hour personalized service is what you can expect from Mars Moz Freight and Forward, Lda. With our customer service representatives available 24 hours a day, 7 days a week. Mars Moz Freight and Forward, Lda is always on hand to meet your shipping needs while providing extraordinary service to each and every shipment. From a full truck to air, sea and rail freight forward service – our team of professionals deliver with care on time, every time. Here we aim at providing top notch services to our customers and satisfy them to maximum extent. Safe delivery of freights at their destinations thereby becomes our priority. We understand that a delay in forwarding freights can cause considerable loss to our clients therefore time is extremely important to us. Mars Moz Freight and Forward, Lda is a freight forward company based in Beira city, Mozambique, that provides a full-service of cargo handling, warehousing, clearing and delivery in international trade from Maputo, Beira, Quelimane and Nacala Port to hinterland destinations such as Malawi, Zambia, Zimbabwe, Botswana, and DRC, and vice versa, and also agency domestics cargo. The company is composed by a vast selection of qualified, talented, professional and experienced staff ready to overtake different challenges in order to ensure better and high quality services at competitive prices. Our top priority is you, our customer. We know when it comes to choose a freight forward company, keeping your cargo secure is at the top of your list, that's why we do everything to take the proper measures in order to ensure the security of your shipment. We do care about making our customers satisfied by providing to them a high quality services with competitive prices. Our top level service is what keeps our customers returning in the future, which allows us to negotiate the best rates by continually increasing our shipment volumes. Our extensive networks enable us to adapt to the specific needs of our clients to ensure customer satisfaction.allowing them to save money and time. 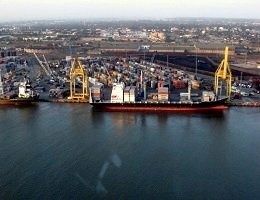 Mars Moz Freight and Forward, Lda is a freight forward company based in Beira city, Mozambique, that provides a full-service of cargo handling, warehousing, clearing and delivery in international trade. Copyright © 2018 MarsMoz. All rights reserved. In Marsmoz Freight and Forward, LDA our full truckload service entails dry van, refrigrated, flatbed, step deck, and RGN as well over-dimensional, overweight and oversize freights. 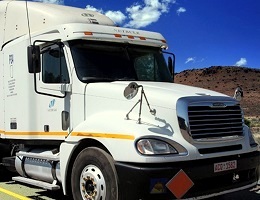 MarsMoz Freight and Forward, LdA offers ocean freight services to SADC region. Should You Need to send Your freight further, we can help you ship to anywhere in the world through our network of international forwarders. 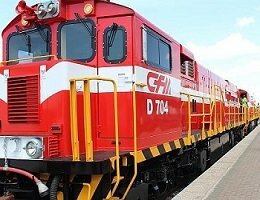 As a leading rail freight forwarder, we offer seamless rail freight services acrossthe SADC region. 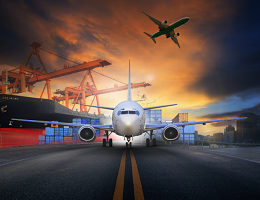 We Ship intermodal freight for business throughout all region helping to cut transporation costs by providing an alternative to over-the-road(OTR) shipping. MarsMoz Freight and Forward, LdA Air Service is a flexible, cost-saving solution for air freight Shipments across the SADC region. With 24/7 customer service, Mars Moz makes it easy.